BOSTON – The Boston Globe reported Friday that the Hyatt Hotels Corporation agreed to pay ousted workers $1 million in a boycott-ending deal. The 2009 firings resulted in a 5-year boycott organized by Unite Here Local 26 with strong, nationwide solidarity. According to the Globe report, the settlement could give some workers as much as $40,000, depending on their years of service. In exchange, the hospitality workers’ union that brokered the deal will call off its five-year boycott at the three full-service Hyatts in the area. 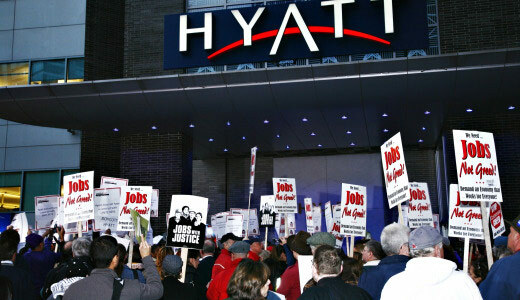 The union estimates the boycott cost the hotel chain about $6 million. Back in 2009, Hyatt ignited a firestorm of protests across the country after it had its housekeepers in Boston train workers from a staffing agency. The housekeepers were told the trainees would be vacation replacements but when the training was complete the workers were fired August 31, 2009, and replaced by the trainees who earned half the pay. Hyatt offered the fired Boston housekeepers “full-time” positions with United Services Companies, a Chicago-based staffing outfit that provides low-wage labor to hospitals, hotels and retail stores. Although they were not in the union, 78 of the 100 fired Boston Hyatt housekeepers met September 29, 2009, at the Unite Here Local 26 office and voted unanimously to reject the hotel chain’s offer to place them in jobs with the staffing organization. After the meeting, at a press conference across the street from the Hyatt Regency Boston the women chanted “No Way Hyatt” as Janice Loux, then president of the union local, declared an official boycott against the Hyatt. Workers at the press conference made it clear that they would settle for nothing less than reinstatement in their full-time jobs and that they did not want temporary jobs designed to put other workers out on the street. The union-led boycott involved a major national campaign by Unite Here to convince Hyatt customers to cease doing business with the hospitality giant. 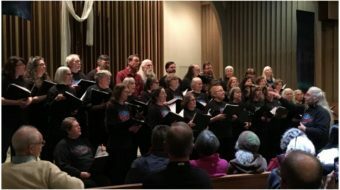 Hundreds of workers were arrested in massive peaceful civil disobedience actions that week at Hyatt hotels as far away as Chicago and San Francisco. Mass. Gov. 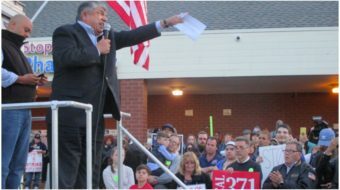 Deval Patrick initiated an informal state boycott against Hyatt to withhold all state business from the chain. John Wojcik contributed to this article. 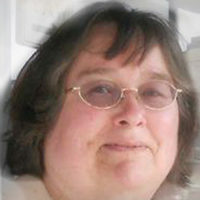 Barbara Russum is a longtime-reader and supporter of People's World and is part of the production team. As a cancer survivor she makes health care for all a high priority. Former manager of the late, great Modern Bookstore, she values books, public libraries and the struggle for universal literacy. She occasionally writes book reviews and articles for People's World. She is a proud member of the Chicago News Guild/CWA Local 34071.